From April to October, the Kärnten Card is also included in the room price, which means you can visit over 100 trip destinations free of charge with this card, including the Bad Kleinkirchheim cable cars. 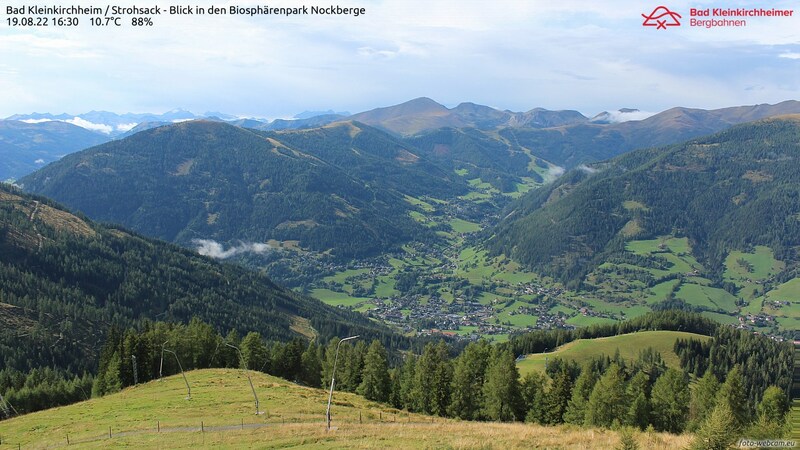 The Bad Kleinkirchheim ski pass is included in the price of your stay. Upon presentation of a valid Bad Kleinkirchheim ski pass, the ski pass holder is granted a 50% price reduction on the current entry price to the Römerbad thermal (from 4 hours, not valid for the evening tariff). Within the stated period, a ski pass for children up to 11.99 years old is included for just €1,- per day upon purchase of a 6-day ski pass for an adult. Per paying adult, a child receives a 6-day ski pass for just EUR 6,- (from 7 days EUR 12,-, from 13 days EUR 18,-=. Two ski passes are issued. During the “ski wellness weeks” from 05.01.2019 to 01.02.2019, as well as from 23.02.2019 to 01.03.2019, when purchasing a Bad Kleinkirchheim ski pass for at least 3 days, guests receive a 4-hour entry to the Römerbad thermal baths free of charge. Upon purchase of a 4-day ski pass, two 4-hour entries are included. When purchasing a 6-day ski pass, you receive three 4-hour entries to the Römerbad thermal baths free of charge.